Supernanny Icon: Annie Braddock | Y'all Behave! 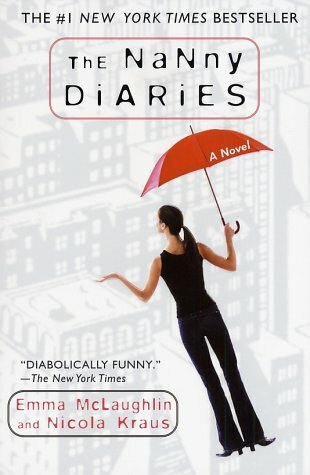 Although I made it clear in my inaugural post that this blog “ain’t no Nanny Diaries,” I can’t help but think of that book (by authors, and former NYC nannies, Emma McLaughlin & Nicola Kraus), and subsequent film (starring Scarlet Johanssen and Laura Linney) when deciding on my next Supernanny Icon, Annie Braddock. Annie is a bright, ambitious graduate student who starts nannying to pay the bills. However, once she becomes emotionally invested in her charge, Grayer, she begins to make a temporary career of nannying, abandoning her higher educational pursuits, for the time being, to focus on his care and, in the process, to explore the anthropological wild that is New York City. This is very familiar to my trajectory, finding nannying work while still in college. We are also alike in the respect that after nannying for a time, Annie, like I, knew that this part-time job could very well be a career calling. I’ve never written a resumé, have never interviewed for a job in my once chosen field as a Child Play Therapist. (Though when I’ve reflected on it, my major in Psychology and minor in Family and Child Development, have definitely come in handy as relevant resumé material as a Supernanny.) Annie and I both recognize the value of nannies in the larger societal picture. Some families could not function without their nannies. Nannies contribute to the health and happiness of children and adults alike. I understand Annie’s attraction to nannying as a profession, and her immediate bonding with her charge. She takes Grayer everywhere around New York, sets up (unfortunately for her disastrous) play dates, and puts her charge first. Annie and Grayer, whom she nicknames “Grover”. Annie is a Supernanny on many counts, the first, in my opinion, being her level of education. A nanny being college-educated increases her worth exponentially. When Annie talks to Grayer, she addresses him as an adult. Using broader vocabulary and treating kiddos in a manner that increases their self worth is so Supernanny. Annie takes risks, such as letting Grayer cheat on his restrictive diet. Annie risks her good standing with her employer, the malevolent Mrs. X, and lets him have peanut butter right out of the jar, knowing that everything in moderation is a dollop of common sense Grayer’s mother just may not have. Annie understands that, as a child, he should be able to have sweets and savories every once in a while; it’s part of being a kid! Annie often has to compensate for Mrs. X’s extreme self-involvement and unapologetic apathy to her son(and pretty much everyone except her estranged husband, the almost entirely absent Mr. X). Annie believes in Grayer and listens to him, bringing out his humor, intelligence, and sweetness in the process. Although Annie falls into the trap of allowing the tyrannical Mrs. X to dictate her days, load her with more work than as a nanny she should be taking on (including caring for Grayer alone when he’s running a high fever and extremely ill while she, Mrs. X relaxes at the spa), and push her around on a personal level, Annie redeems herself when she decides she’s not going to take it anymore! She’s able to give Mrs. X a dose of reality with a haranguing of epic proportions, delivered via teddy bear nanny cam, and breaks free from the emotional abuse and entanglement she has suffered. The high cost of her freedom is the loss of Grayer, (torn from her in a heart-wrenching scene) whom she loves dearly, bringing home the sad fact that no matter how much she loves the child, she cannot stay in a toxic situation with a negative, vindictive employer. It’s a hard lesson unfortunately some nannies must learn through no fault of their own. Annie knows her worth, and more importantly, when she’s had enough. She leaves knowing that, though Mrs. X may never change, Grayer will forever cherish her days with him, and that she, Annie the Nanny, made his life better. The moral message imparted by Annie: Nannies are valuable contributors to society, leaving a positive impact on the lives of kiddos and families, heroines with red umbrellas! Reblogged this on Steph's Blog.